Sports Jeopardy! finally has a premiere date: The Dan Patrick-hosted spinoff will begin airing on Sept. 24, and taping officially began this week. The show will air weekly on Crackle, a Sony-owned digital network following in the footsteps of Hulu and Netflix by branching out into original programming. (Besides Sports Jeopardy!, Crackle's best-known show is probably Jerry Seinfeld's Comedians in Cars Getting Coffee.) The network has ordered 52 episodes of Sports Jeopardy!, so it's going to be a thing for at least a full calendar year. Howie Schwab will also be involved with Sports Jeopardy! as a consultant and researcher. It's not clear if Schwab, who before being laid off by ESPN last year hosted Stump the Schwab, probably the most successful sports trivia TV show to date, will have an on-air role. 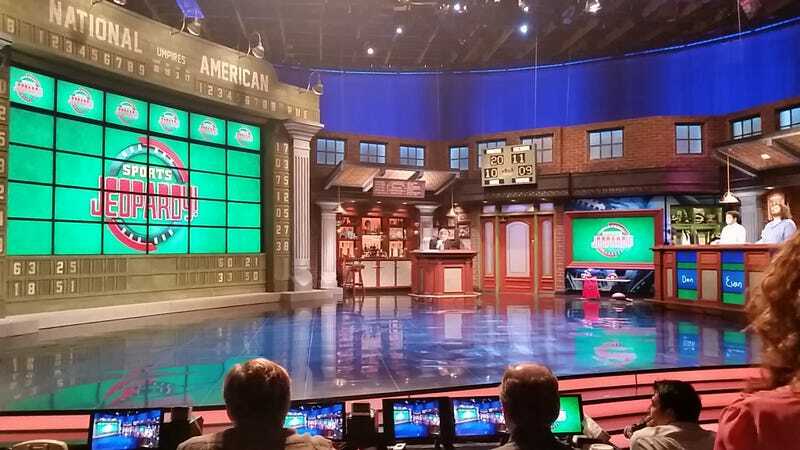 If you've attended a taping, or have competed on Sports Jeopardy!, drop us a line. We're just curious; we're not looking to violate your non-disclosure agreement.